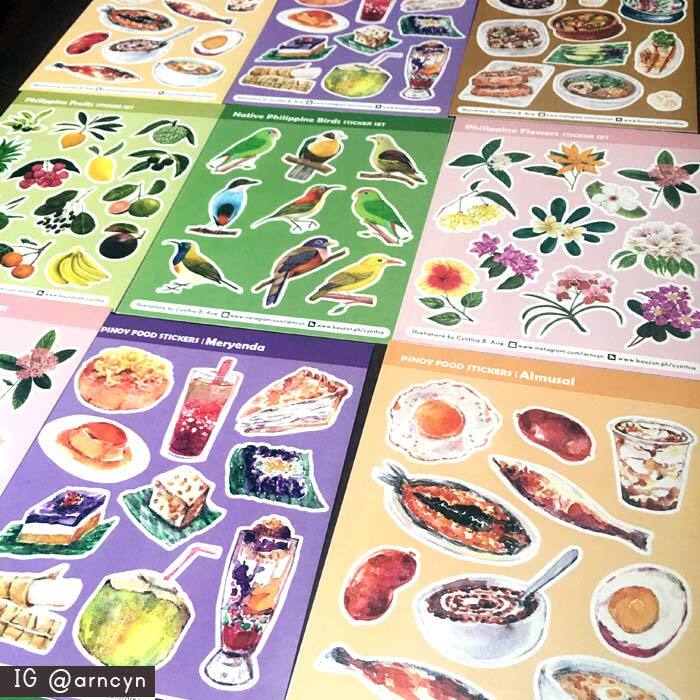 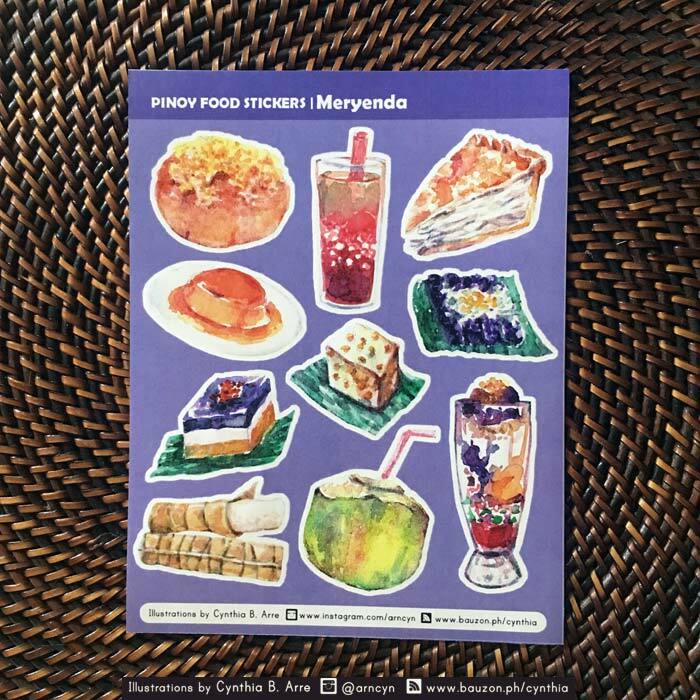 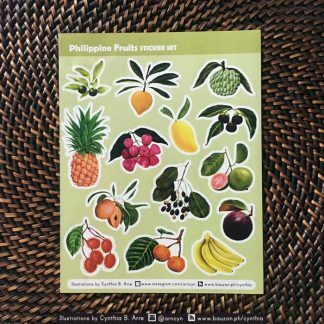 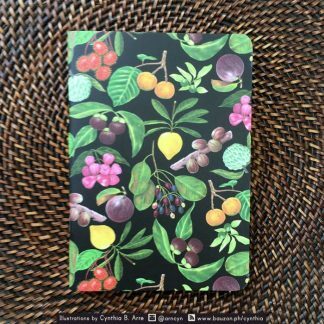 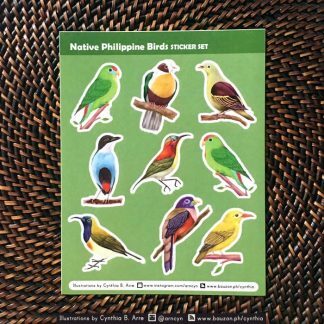 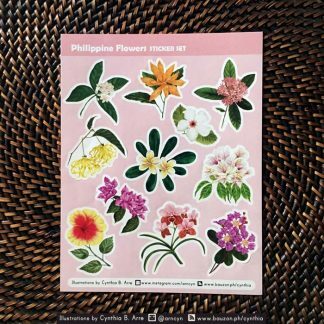 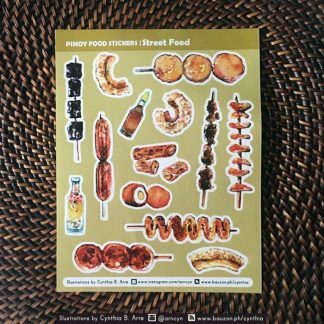 High quality semi-gloss stickers featuring a variety of Pinoy meryenda staples like native Filipino delicacies and kakanin on banana leaves — ensaymada, puto bumbong, maja mais, sapin-sapin, suman and everyone’s favorite halo-halo. I added fresh buko juice and sago’t gulaman in the mix to wash all that delicious food down. 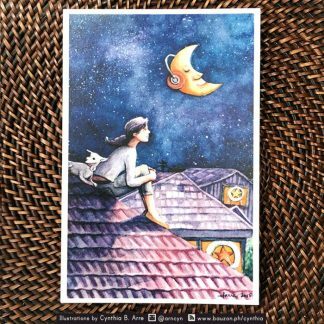 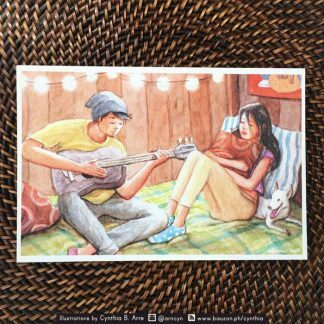 All illustrations are hand-painted in watercolor. 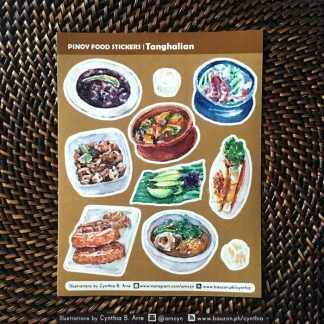 Sheet dimensions are 4″ x 5.5″ and size of stickers range from approximately .5″ to 1.75″. 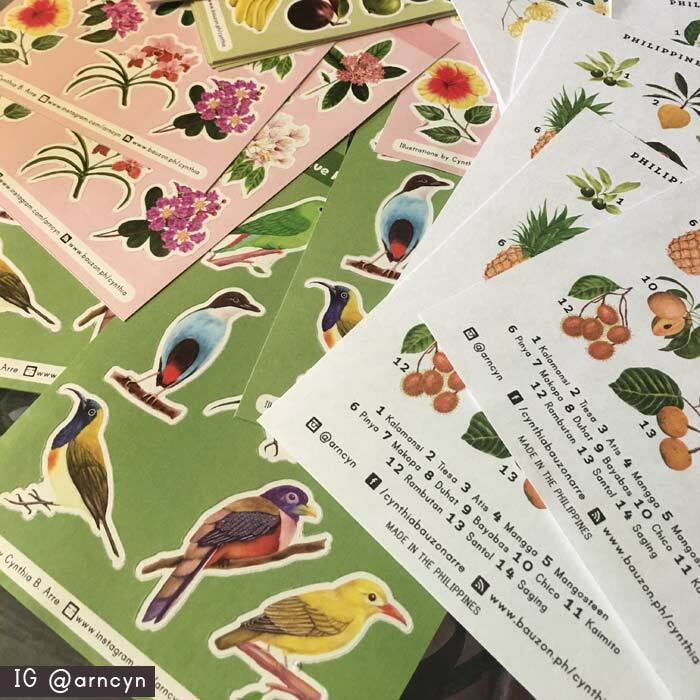 Each sticker is already die-cut for easy peel off. A “legend” info card for easy identification of each drawing is included in the package.